What is it that about polka dots that some women are so in love with? 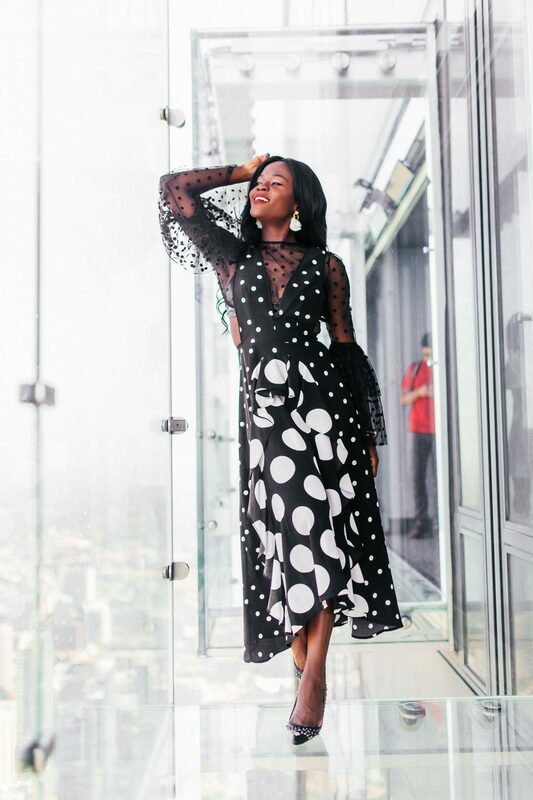 That was a question I had no answer for, nor a sartorial choice I had an overwhelming disposition for until I met this beautiful polka dot dress. Certainly in a league of it’s own, this dress was not created for the “weak of heart”. I mean, if you don’t like attention, this dress is not for you. The pattern play on this dress begs for proclaims for amazement, lingering stares and profound declarations of love! Okay, maybe I am exaggerating; but for me, it was love at first sight. Kind of like the love lust I had when I saw Ryan Gosling for the first time in the Notebook or every time Ryan Reynolds says something funny! Nope, not lust, it’s love! But I digress. Ryan(s), I can’t have but this dress is all mine! Whimsical was the word that came to mind when I tried this dress on! I layered this it with a sheer dotted top to provide contrast and well to cover the girls! Ladies, if you are not an A-cup, you are going to need it. The overall look reminded me of something out of Alice in Wonderland, pinafore dress and all. 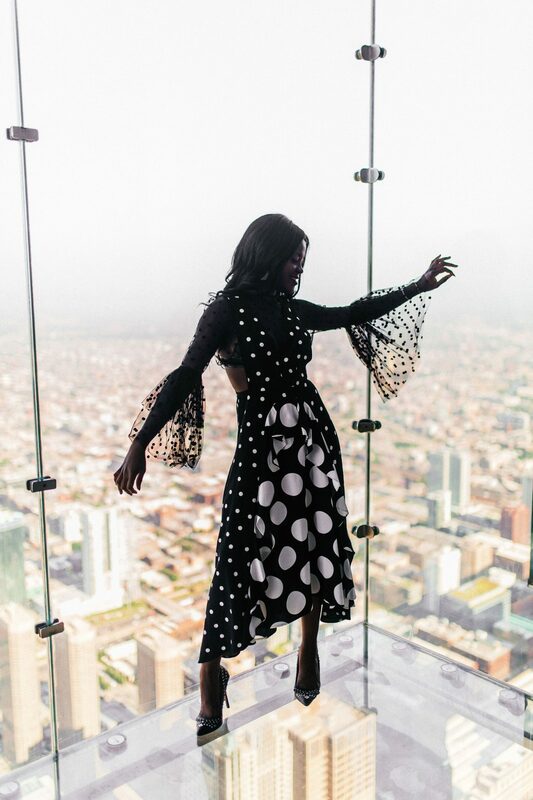 I was shooting this look at the beautiful Chicago Sky deck, I focused on the whimsical look of the dress to create an “Alice in Chicagoland” story! Hope you love!